Witnesses say a Midlothian police officer responding to a shooting inside a south suburban bar shot and killed the wrong person early Sunday morning. After security asked a group of drunk men to leave Manny’s Blue Room Bar around 4 a.m. Sunday, witnesses say someone came back with a gun and opened fire. Security returned fire, and according to witnesses, 26-year-old armed security guard Jemel Roberson apprehended one of the men involved outside. "He had somebody on the ground with his knee in back with his gun in his back like, 'don’t move,'" witness Adam Harris said. Soon after, witnesses say an officer responding to the shooting fired at Roberson after arriving on the scene. "Everybody was screaming out, 'he was a security guard,' and they basically saw a black man with a gun and killed him," Harris said. Authorities are releasing few details Sunday night. Four other people, including the suspected shooter, suffered non-life threatening injuries. In a statement, Midlothian police confirmed two officers from the department responded to the scene of the shooting, and one of them opened fire. "A Midlothian Officer encountered a subject with a gun and was involved in an Officer involved shooting. The subject the Officer shot was later pronounced deceased at an area hospital," Chief Delaney of the Midlothian Police Department said in a statement. Friends say Roberson was an upstanding guy who was also a musician, playing keyboard and drums at several Chicago-area churches, who had plans to become a police officer. 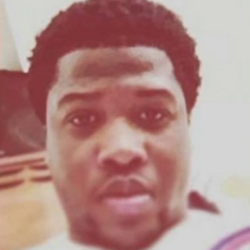 November 2018 Family of security guard fatally shot by police in Robbins bar files lawsuit. As of April 19, 2019, Covey’s lawyers are asking a federal judge to issue a stay in the civil case until the Illinois State Police complete their investigation, and Cook County prosecutors and the Illinois State’s Attorney Appellate Prosecutor decide on possible criminal charges against Covey.